November has been an extremely busy month for us! 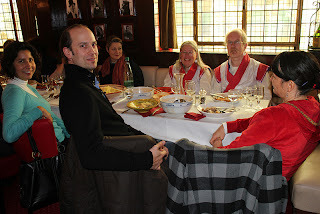 In a period of five weeks we have had three retreats. The first, at the beginning of November, was an open teaching event in Paris. The second was a four day retreat with our students in our home in Cardiff. The last one starts in two days and is a weekend retreat with our Lamas. I also started my new Welsh class this month – having missed the first day in September. Two full days of Welsh was pretty intense. I had no idea what was going on a lot of the time! In Paris we taught on the emotions as the path of transformation in the colour and element system of tantric psychology. The retreat took place in a pleasant basement yoga studio in north Paris, near the Gare du Nord. We were a group of about a dozen people which was a good number – small enough for a sense of intimacy, and big enough to generate questions. Our teachings were translated by our student Ngakpa Zhal’mèd. There were many good questions and people seemed to find the teaching helpful. At the end of the event one lady came and told us how she had used what we had taught to help her with a difficult encounter with her teenage son that morning. Fantastic. We were pleased this visit to also have time for a day and a half of sightseeing. Last time we taught in Paris we had to dash straight home after the last session. On the Sunday afternoon we had a pleasant boat trip down the river Seine. Apart from being extremely cold on the upper deck, this trip was about as perfect as was possible. We began in daylight so we were able to enjoy the beauty of the buildings. 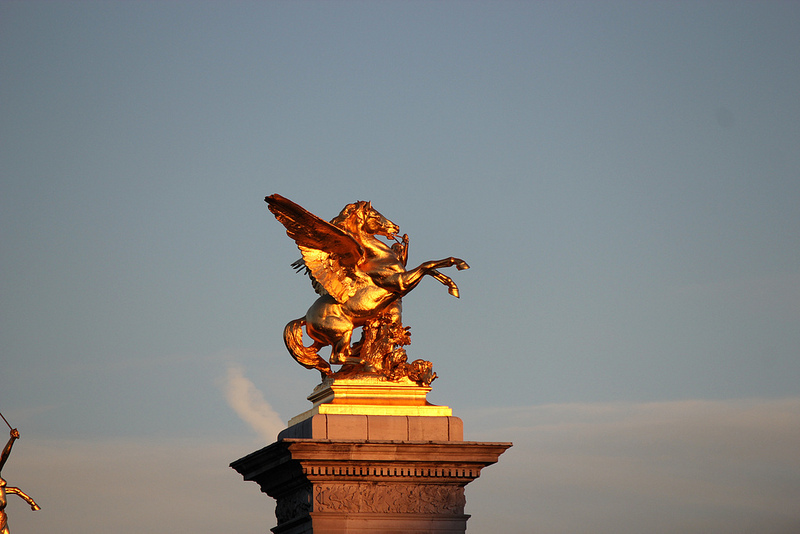 As the sun began to set the golden statues on some of the bridges shone magnificently. It was starting to get dark as the boat turned. By the time we had travelled back down to the Eiffel tower, the sky was a dramatic deep purple with flashes of sunset colours. This created a fantastic backdrop to the Eiffel tower as the city lights started to be lit. 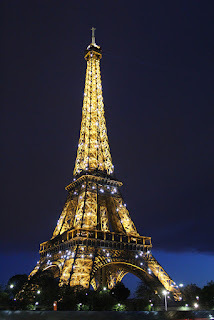 Zhal’mèd had just said “I hope we get to see it twinkle” when indeed the thousands of small lights on the Eiffel tower began flashing – a most spectacular sight. I had not really appreciated before how elegant a structure the tower is. 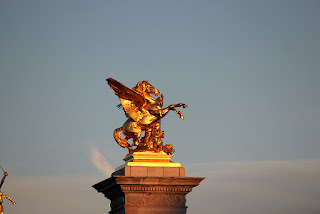 The following day we took the metro and explored the area around the Louvre and Notre Dame. 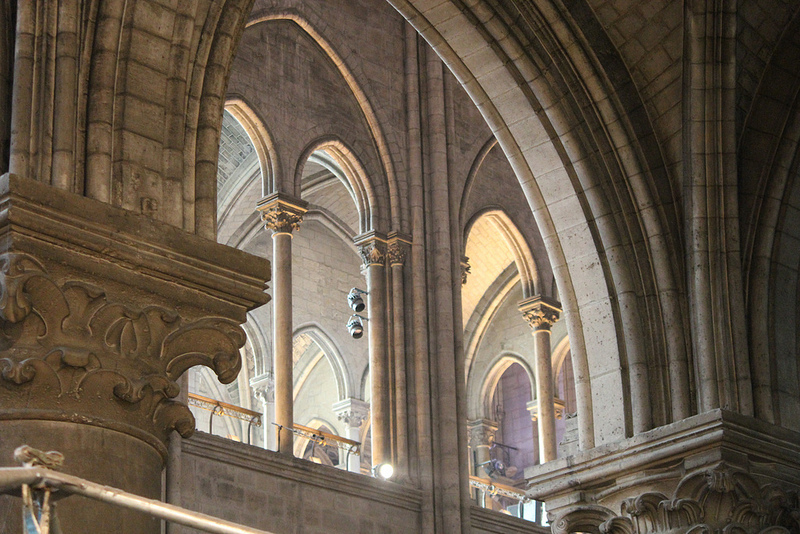 I liked that they asked for silence inside Notre Dame so that it retained a feeling of being a place of worship.